These gorgeous painted pumpkins will help you step up your game and have a chic, not spooky, Halloween. We also love the sparkly pumpkins we found with this particular crop of no-carve pumpkins, check them out here. In case you hadn't heard, we launched a brand-new DIY community Called The Snug (thesnug.com)! At The Snug, we spotlight top-trending DIY ideas, handpicked by the editors of our parent company Time Inc. and DIYers like you! 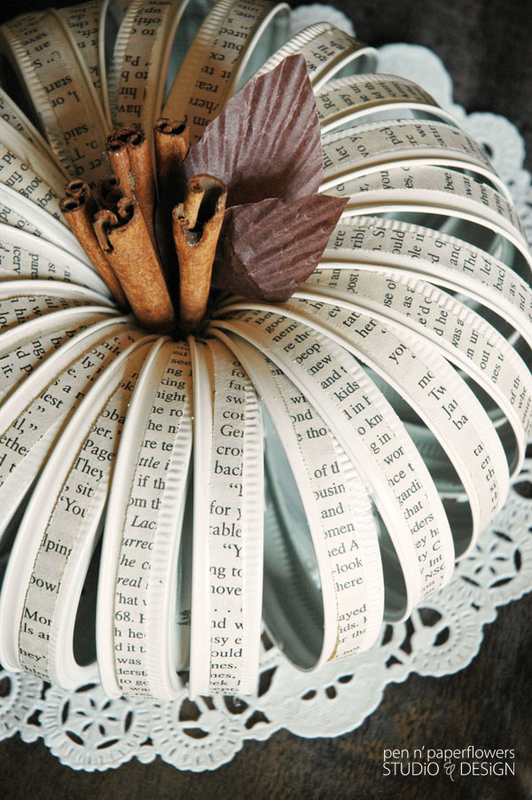 We're obsessed with pumpkins over at The Snug these days... especially no-carve pumpkins. The best part about no-carve pumpkins is that you can make them last all October (if they're real) and from year-to-year (if they're decorating pumpkins). 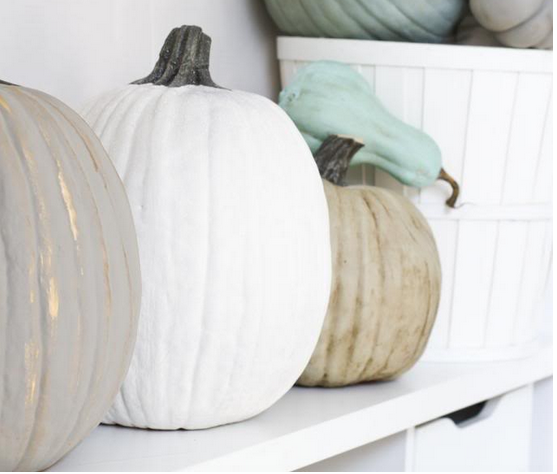 We've rounded up the 10 best no-carve pumpkin projects on the Web (looking at you, Instagram) and we're bringing them to you! 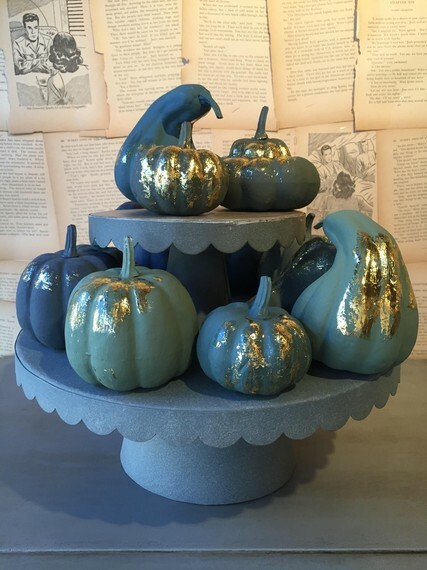 This decoupage pumpkin should inspire all sorts of bright and cheery Halloween ideas. Start with a white craft pumpkin and the possibilities are endless! So shiny! We love these pretty, pretty pumpkins and want you to, too! Try them out for yourself here. The mini-pumpkins are so cute! 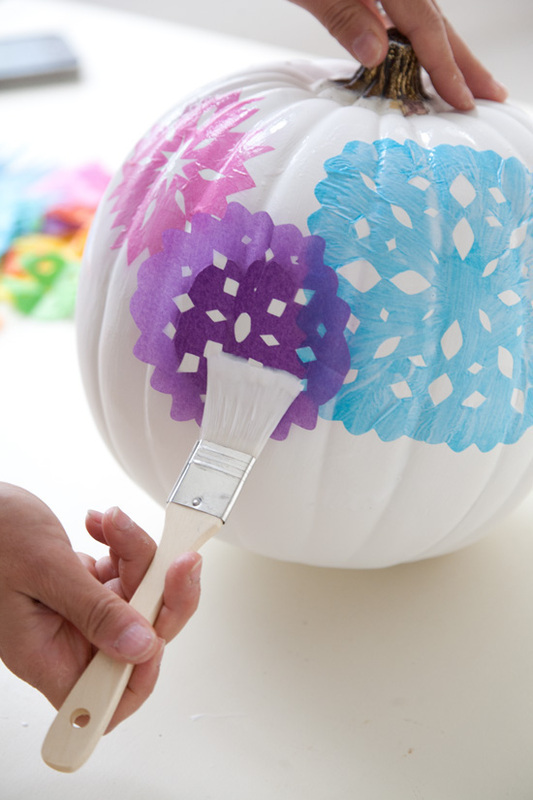 You can do so many things with them and they do last a bit longer (craft pumpkins also come in this size). 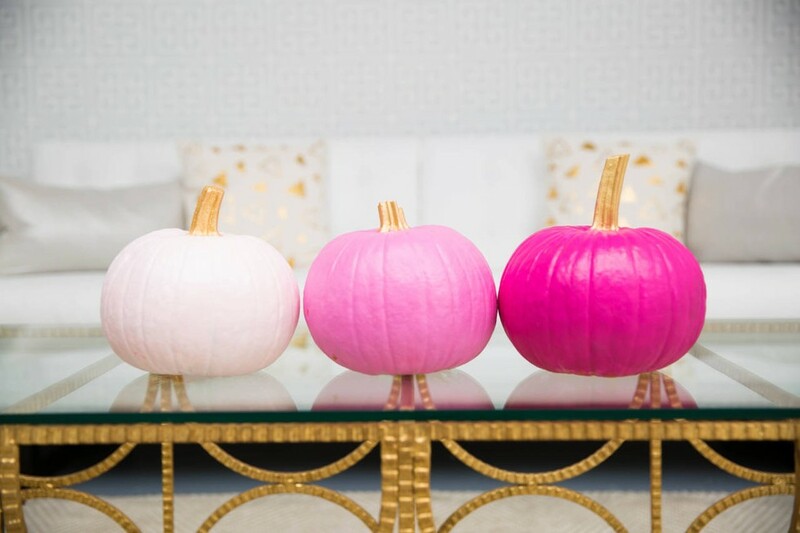 Check these ombre pumpkins out and get inspired to create your own color scheme (and share it with us on @TheSnugOnline on Instagram). 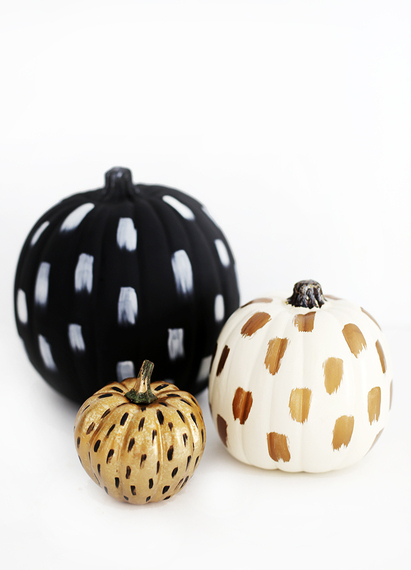 Super simple and super chic, we love this no-carve brushstroke pumpkin trio from The Merrythought. This is one of the most popular posts on The Snug right now. 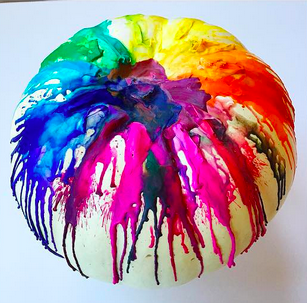 This no-carve melted crayon pumpkin only requires three "ingredients:" a pumpkin, crayons, and a blow dryer. The color possibilities are endless. 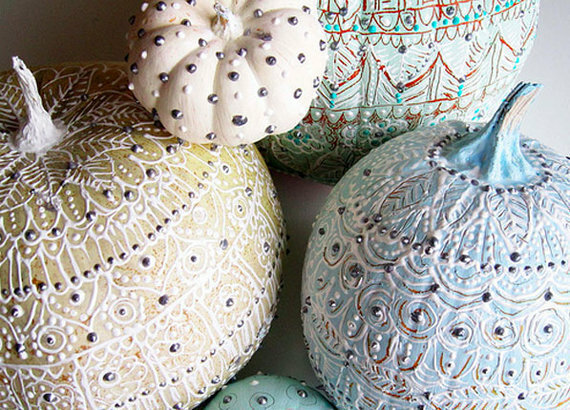 These pumpkins are gorgeous and, even though they are craft pumpkins, they look incredibly real! All it takes is some wax and paint. 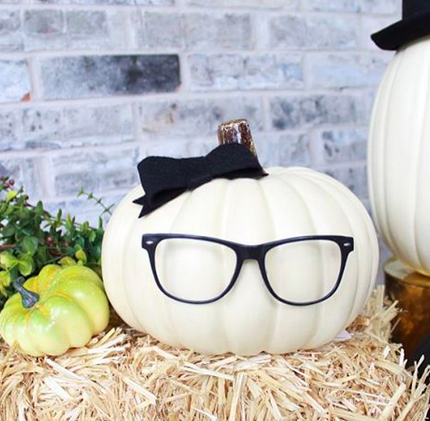 We did this round-up of some of the most creative pumpkins on Instagram and craft pumpkins take the cake again! See our favorites here. 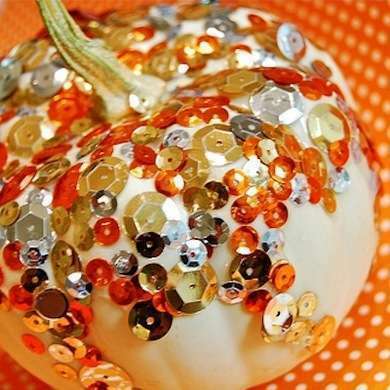 This sequin pumpkin is adorable and kid-friendly. We have 13 more no-carve pumpkins (including one with thumbtacks!) right here. Ok, so this one isn't a craft pumpkin but it IS incredibly clever. Check out the tutorial on The Snug. For more pumpkin madness, we've got a whole Pumpkin Channel right on The Snug. We also have a bunch of PSL-inspired treats on #FoodsBeforeDudes, so you might want to check that out too.